Methods used to end mother-to-child transmission of HIV and syphilis in Bermuda could be used to tackle other diseases such as hepatitis. Bermuda announced this month that it had reached the milestone of elimination of HIV and syphilis in newborns — one of only a handful of countries to do so. Ministry of Health assessment officer Dy-Juan DeRoza said the target was achieved owing to teamwork between different parts of the health service — and that hepatitis transmission could be the next condition on the hit list. She added: “We are looking at how the systems work together, including the human rights element, and looking at how we can eliminate other diseases and how we can work together to ensure that these diseases stay eliminated and even to monitor and track other diseases throughout the region. The elimination confirmation process was started by the Department of Health in 2015 under the guidance of the Pan-American Health Organisation. The process needed extensive reviews of documentation, tracing and verification, as well as a programme of spot-checking the relevant population by the island’s Epidemiology and Surveillance Unit. Validation was then given by the Global Validation Advisory Committee. In achieving elimination of mother-to-child transmission (EMTCT) of HIV and syphilis, Bermuda joined Cuba, where EMTCT for HIV and syphilis was confirmed in 2015. Belarus in Eastern Europe and Thailand followed in 2016. Armenia has eliminated HIV transmission to babies, while Moldova has done the same with syphilis. Chief Medical Officer Cheryl Peek-Ball said: “The validation process is what is so rigorous about this and what makes the achievement so important. “What we knew clinically was the case from our experience over the last 25 or so years is one thing. “But being validated is a scientifically, statistically more significant designation and you do have to jump through hoops to prove that you would know if you are missing HIV-positive babies or HIV-positive mothers. Ms DeRoza said the island result was a team effort and involved the Bermuda Hospitals Board and island laboratories. 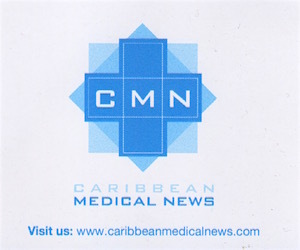 The Ministry of Health effort also involved private obstetricians and paediatricians to ensure all of the treatment and testing rules were followed. Ms DeRoza said there was also a human rights component and they had to look at sexual and reproductive rights, as well as confidentiality and privacy issues. Department of Health HIV/Aids co-ordinator Kimberley Ball added: ”The validation means we have done a great job in prevention, treatment and health promotion. And people are adherent. “I think it says that our population does trust what we do as far as teaching them to be healthy, giving them the treatment that is up-to-date and current. Dr Peek-Ball said one of the best outcomes of the whole process were the recommendations made by the validation committee on areas that could be improved. Dr Peek-Ball added good access for teens to health information services was also highlighted, while improving protection around personal health information was an “ongoing effort”. And she said the achievement highlighted the importance of strong disease surveillance systems and communication among the health service.